Luxury bridal jewelry manufacturer A. Jaffe has named Jim Grohn as executive vice president of Sales and Marketing. Grohn will be responsible for leading all phases of A. Jaffe’s aggressive brand development strategies including identifying the A. Jaffe brand as embodying the little mentioned “fifth C” of a diamond: the craftsmanship of the ring in which it is set. 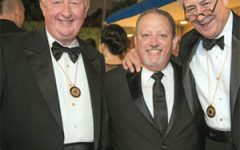 He will also handle all sales-related functions, working closely with A. Jaffe’s sales force, to develop relationships with all of the company’s national and international authorized jewelers. 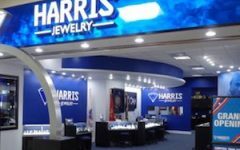 Recognized as an expert in the jewelry industry, Grohn has more than 20 years experience, recently holding the position of director of Sales at Hearts On Fire where he played an integral role in shaping its meteoric growth. He has also worked at the Movado Group Inc. and Bulova Corp. Throughout his career, Grohn has been the recipient of numerous industry awards. A. Jaffe jewelry is currently available in 650 fine jewelry locations in the U.S., Caribbean, UK, and Canada. They offer unique settings in platinum and 18K gold.